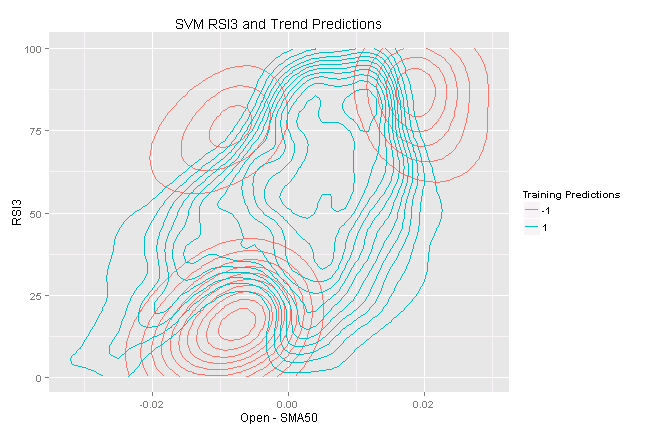 Tad Slaff at InovanceTech published How to Trade the RSI: An analysis using a Support Vector Machine post that I like. Below I will explore it a bit more. Load Historical Prices. Let’s start with AUD/USD 4 hour bar pricesdropbox. Now that we have found a basic set of rules that the SVM uncovered, lets test to see how well they hold up over new data, our test set. # lets test to see how well they hold up over new data, our test set. Wow! 58% (85 correct out of 147 trades) for our short trades and 57% (80 correct out of 140 trades) for our long trades. Now lets turn this into an actual trading strategy with a stop loss and take profit as our exit conditions.